SUPPORT THE COALITION TO PROTECT AMERICA’S NATIONAL PARKS. 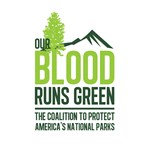 The Coalition to Protect America's National Parks is an independent, non-partisan organization with over 1,400 members, who are all current, former, and retired employees of the National Park Service (NPS). With nearly 35,000 years of combined service, we focus on the preservation and protection of America’s most precious natural and cultural resources. We use our voice to defend national monuments, to stop budget cuts and to protect our public lands from energy development. 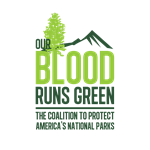 Your purchase helps the Coalition continue its work to support the NPS mission, the parks and NPS employees from a growing numbers of threats. Thank you for your support of this important work!